3611 Knightsbridge Rd, Mountain Brook, AL.| MLS# 845585 | Richard Jacks UABLIVING.com 205-910-2297 | Birmingham AL Real Estate | Contact us to request more information about our Homes for Sale in the Birmingham AL area. Immaculate Mountain Brook home with extensive renovations! 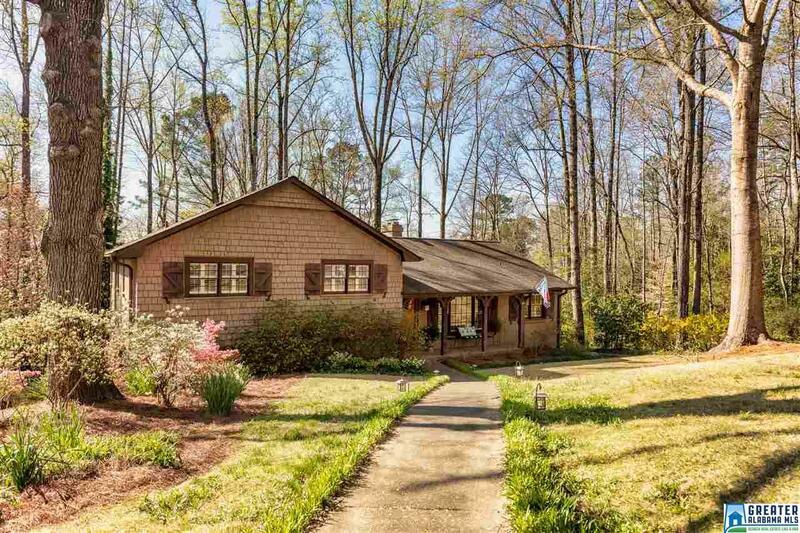 This home has 5-Bedrooms, 3-1/2-Baths, and is situated on private lot near the award-winning Mountain Brook High School. Foyer is a welcoming entrance to family and friends and opens to a walk-thru formal Living Room and Dining Room. Completely renovated Kitchen featuring new cabinets, appliances, counters and flooring. Open Kitchen/Den floor plan naturally lit by lots of windows across the back. Beautiful built-ins frame the brick fireplace. Roomy Master Suite with totally updated Bath. Four additional bedrooms and two full baths complete the private living areas. Great space for entertaining on the amazing Screened and Open Deck overlooking a large, private, wooded backyard. Finished basement area with over-sized rec/play room, bar, half bath and laundry room. This home is conveniently located on a cul-de-sac street just blocks from the High School and close to interstate access, shopping, entertainment, dining and churches.